Few curry houses in the world can offer diners such a beautiful walk to their spice fix as the Indian Jewel. 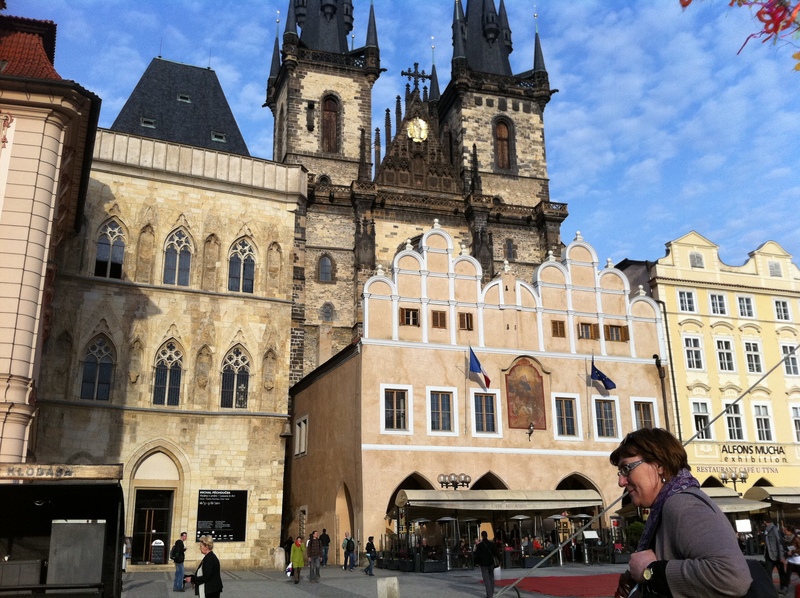 Although the actual restaurant entrance is low key, to get there you have to walk through the famed Staroměstské náměstí (Old Town Square) towards the fairy tale Tyn Church with its twin Gothic towers and cluster of spires. 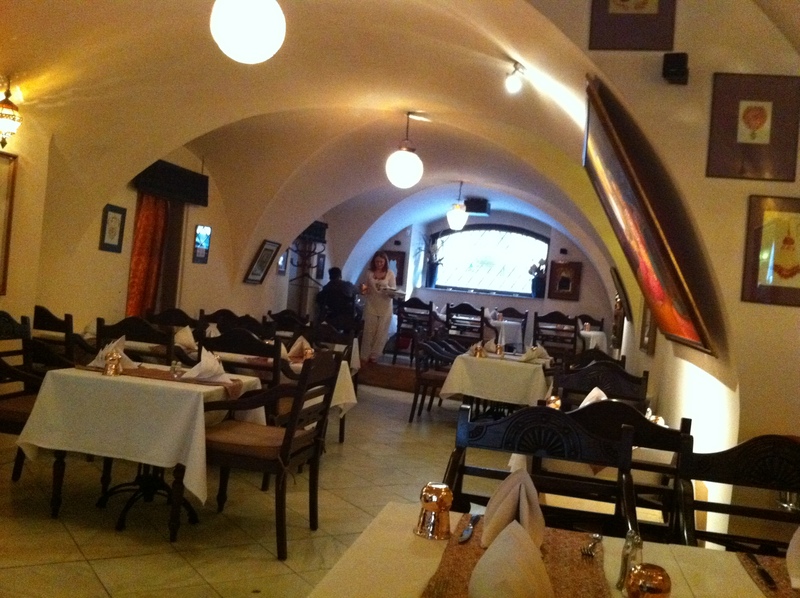 Pass through an archway to the side, along a narrow cobbled path, past numerous local restaurants tempting you with their local specialities and then you will reach a large courtyard area where you will find your curry reward. Your reward comes in a restaurant that is simply but tastefully laid out. 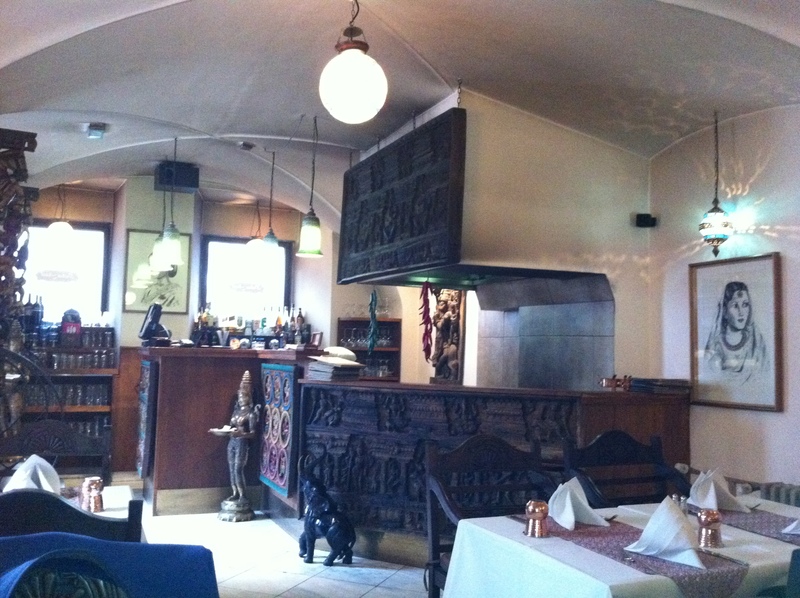 Greeted by a Bengali and served by a Czech, advice was quickly offered for descriptions of the dishes on the menu. 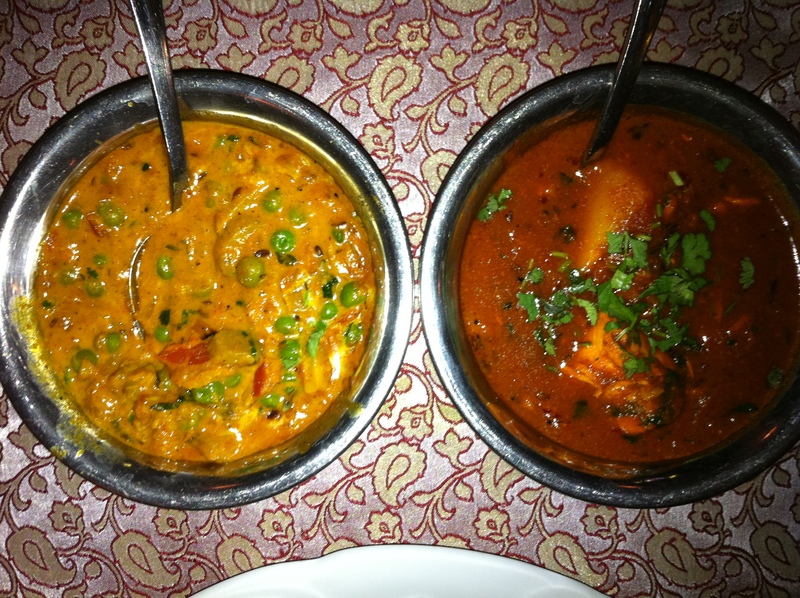 It’s a fairly limited menu but the dishes are plentiful and well spiced, if a little pricey at around £15 a main dish. The Chicken Vindaloo (360 Kč) had a decent amount of potato in it – it’s amazing how many restaurants hardly bother with what is an essential ingredient of this famous Goan dish. It had a slow burn to it, rather than the kick in the face some vindys deliver. The decent portion of Zafrani Pullao (100 Kč) delivered its delicate saffron taste perfectly, while the Chicken Sag (375 Kč) also got the thumbs up. The four vegetable dishes are offered as main meals but half portions are offered if you want it as side dish. Dhingri Mattar (90 Kč half portion) was thick and juicy and didn’t hold back on the peas or the mushrooms. After a quick bit of tourist information as we wrapped up the last bits of chicken and rice it was time to… and you know what’s coming don’t you?… you’ve got it, order the Czech. Boom, boom. Indian Jewel, Tyn 6, 110 00, Prague 1 – Staré Město, Czech Republic. Tel: +420 222 310 156 or +420 725 107 059. E-mail:ind.jewel@savic.eu.